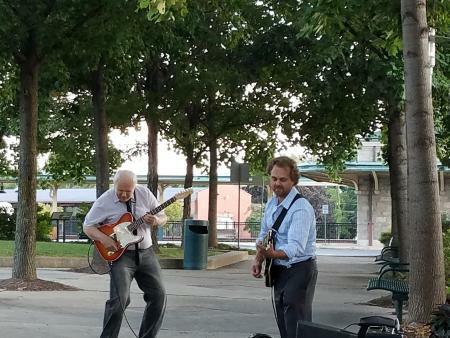 Three Pottstown organizations are planning to bring back an event that eases the transition from summer to fall with a stylish, fun flair featuring local food, drink, and live music. 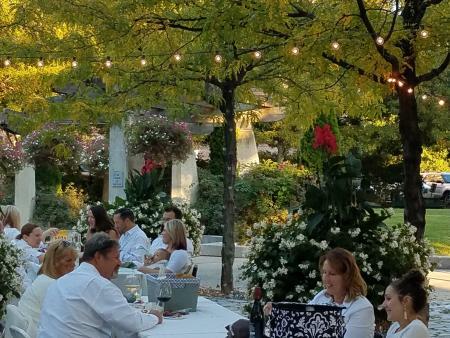 The Second Annual Fete en Blanc (French for “Party in White”) will be held on Friday, September 14 from 6 to 9 p.m. at the picturesque Smith Family Plaza at Pottstown’s Borough Hall, 100 East Street. Fete en Blanc, organized by Hobart’s Run, the Pottstown Downtown Improvement District Authority (PDIDA), and Pottstown Area Industrial Development (PAID), is modeled after traditional Fete en Blanc or Diner en Blanc (Dinner in White) events held in communities around the world, including Philadelphia and Lancaster, in late summer or early fall. 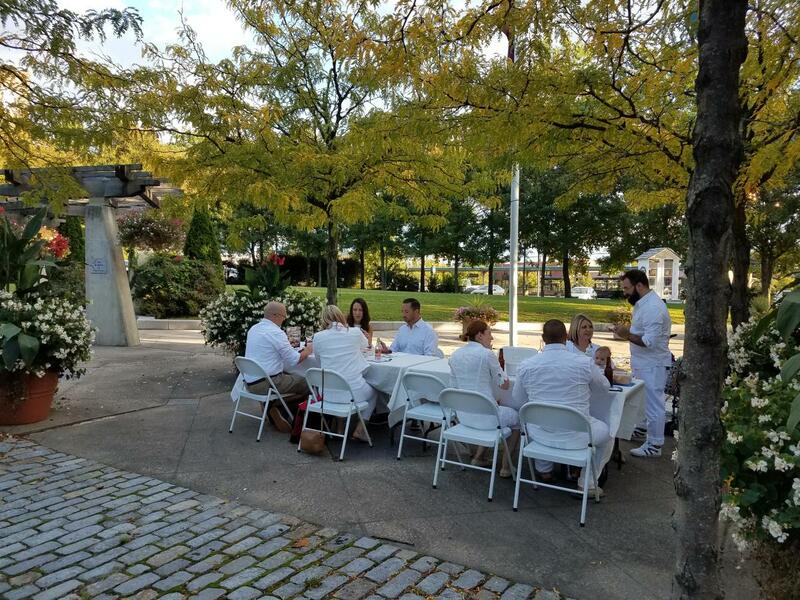 All-in-white attired attendees traditionally wave white napkins as they dine together and say farewell to summer. “PDIDA is thrilled to be joining PAID and Hobart’s Run in bringing Fete en Blanc back for its second year, especially based on the high degree of positive energy we felt during the fun event last year,” notes Sheila Dugan, Pottstown’s Main Street Manager. Eat, drink, and enjoy music – but please wear white! Guests are asked to dress in white – whether in casual or dressier attire, as anything goes, as long as it’s white – and gather for al fresco dining paired with live entertainment. Although there is not an attendance fee, guests must RSVP and obtain a ticket by going to the Fete en Blanc link under “Events” at www.downtownpottstown.org. Participants may either bring their own beverages of choice (and white or clear glasses or cups) and their own dinner or snacks, or pre-order food by September 10th by calling the following participating Pottstown “Picnic Partner” vendors: The Avenue, Grumpy’s, iCreate Café, Lily’s, and the PUB (Pottstown United Brewery), as well as boxed desserts by Beverly’s. Pre-ordered meals, priced at about $10, will be available for pick-up at the event. A complete menu listing and ordering information is available at the event registration link at www.downtownpottstown.org; this list is likely to grow as well. Manatawny Still Works will offer samplings and bottles for sale (bring your own mixers) and other “adult beverage” vendors likely will participate, for those who do not wish to BYOB. Live music will be provided by hip area acoustic guitarist Drew Gess, local cabaret vocalists Mickey and Maddy Ramirez, and Maggie Nace, known for her cover performances from the Beatles and other artists. Area businesses will decorate their windows with the Fete en Blanc all-white theme as they get into the seasonal spirit. What better way to say goodbye to summer than by gathering with friends, old and new, at this event? Please do RSVP at www.downtownpottstown.org so that Fete en Blanc planners can be sure to have enough tables, chairs, and white linens on hand, and remember to place food orders by September 10, please. Fete en Blanc will be held even if there is a bit of light rain, although it will be cancelled if there are storms or heavy rain (check out the website for updates). Also, pre-ordered meals will be available for pick up rain or shine!